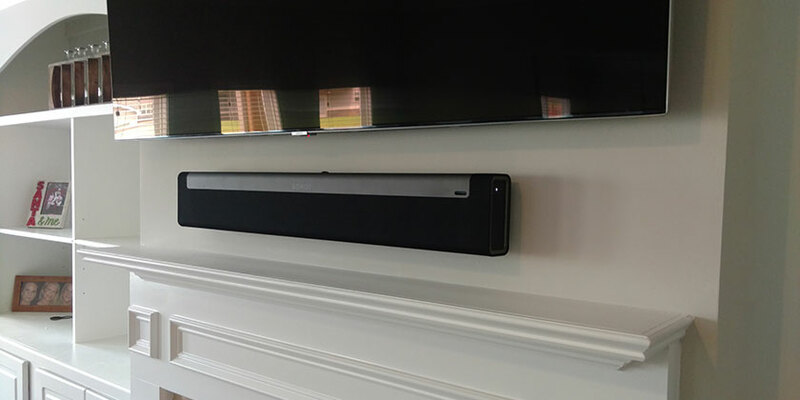 Looking for ways to mount your Sonos Playbar? 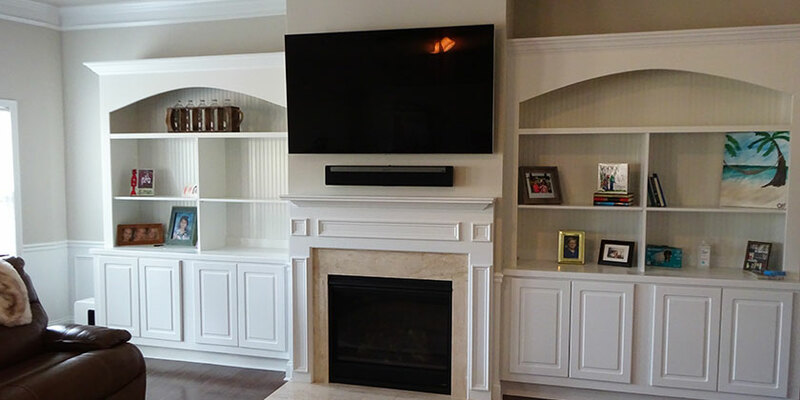 Here’s a nice clean install over the fireplace we completed recently. For this job we installed the Samsung QLED 65” TV with a tilt mount, we wired power and the Samsung One Connect cable from the TV location to the cabinet. The Samsung One Connect Box and AT&T receiver are located in the cabinet to the left of the fireplace. 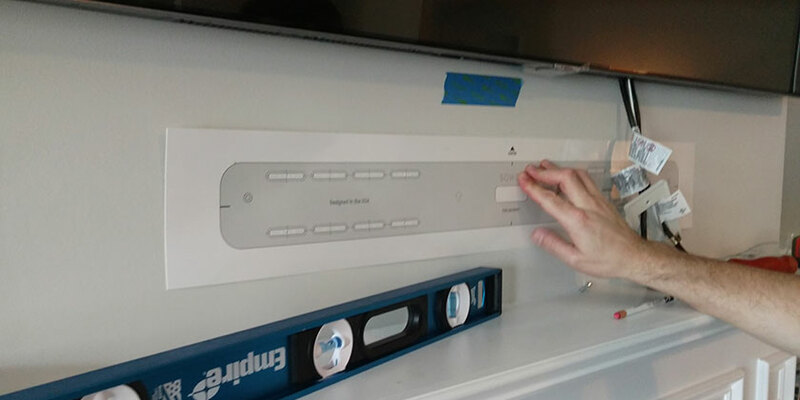 We then mounted the Sonos Playbar below the TV. For the best performance, Sonos recommends a minimum of 1-2 inches of clearance between the TV and the sound bar. After the Sonos bracket was mounted we wired it for power and an optical cable. 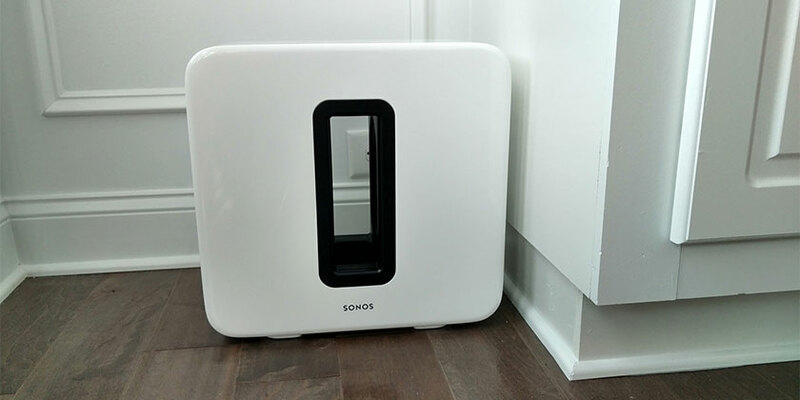 Before we powered on the system we unboxed the Sonos wireless subwoofer and placed it on the left side of the built in cabinets. Available in black or white, notice how it blends seamlessly with any surroundings. The electronics and Sonos system are controlled by a Harmony Elite Pro remote. This was needed to control the electronics in the cabinet when the doors are closed. For more information about Harmony Elite remotes click here. The Samsung and Sonos equipment created excellent sound and video for the space. The customer was extremely pleased with the performance of their new audio video system.